You’re at your best when you’re calm and focused, not jittery and stressed. Life expects a lot of you. Whether it's work deadlines, complaining coworkers, school projects, family obligations, daunting housework, financial pressure or heated political conversations, life is often times stressful. When trying to stay focused on one task at a time while juggling several other challenges, you're likely to experience symptoms of anxiety, like racing thoughts, muscle tension, and expecting the worst. Though this is part of normal everyday life, it can be difficult to effectively and healthily cope. So what do you do? Run for your fourth cup of coffee? Or that glass of wine? While that may make you feel better in the short run, I think we both know the negative consequences, like poor quality of sleep, actually end up increasing your stress level. Try this instead – take one YNRC Relaxation Shot™. You will immediately experience a sense of calm focus without negative side-effects. And it's small enough to be kept in your office drawer, your car console, or your purse - so you can relax+more and stress-less, anywhere, anytime, NATURALLY! What's in a YNRC Relaxation Shot™? YNRC Relaxation Shots ™ contain FIVE natural, safe ingredients proven to independently decrease anxiety symptoms and reduce stress. Together, these ingredients produce a profound sense of relaxed focus. 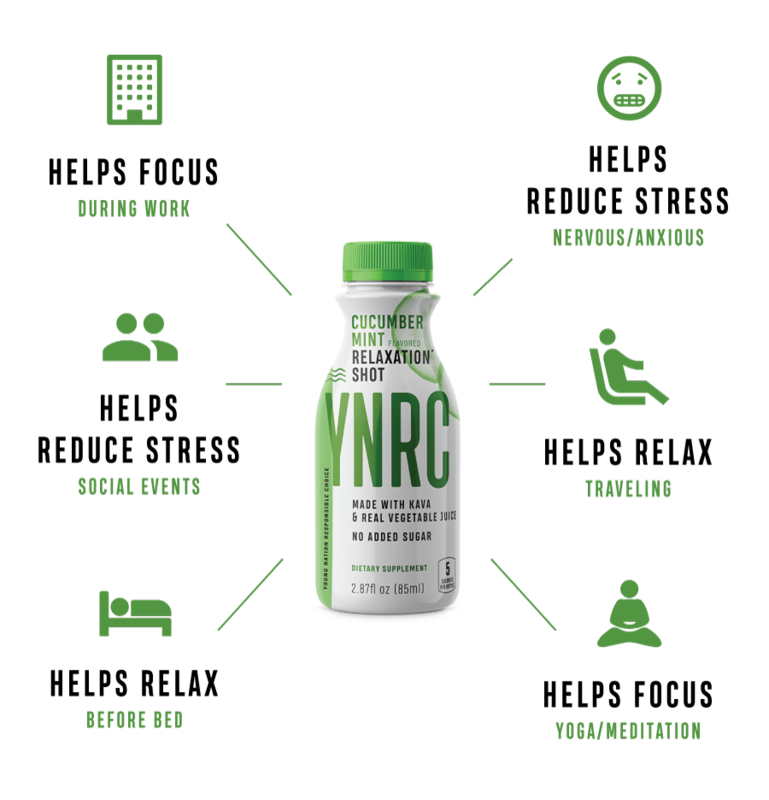 YNRC Relaxation Shots™ are an on-the-go product that’s fast-acting and long-lasting. Neurologist Dr. Chad Domangue, M.D.